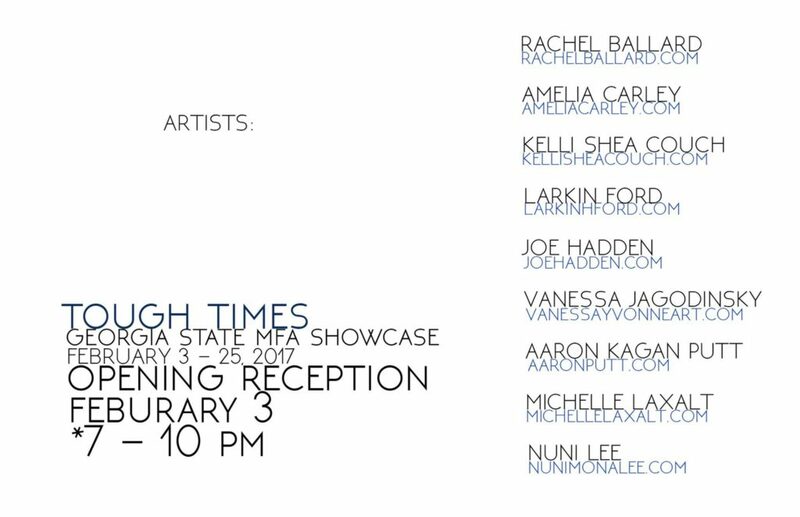 SOUP experimental will host the Georgia State MFA Showcase, “Tough Times,” February 3rd – February 25th, 2017. An opening reception is open to the public on February 3rd, 2017 from 7:00PM to 10:00PM. For more information, please visit SOUP experimental on Facebook.